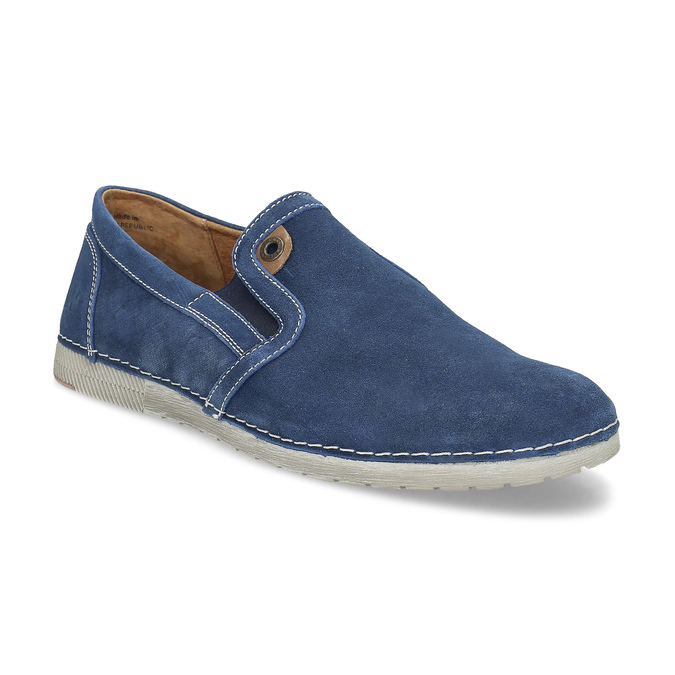 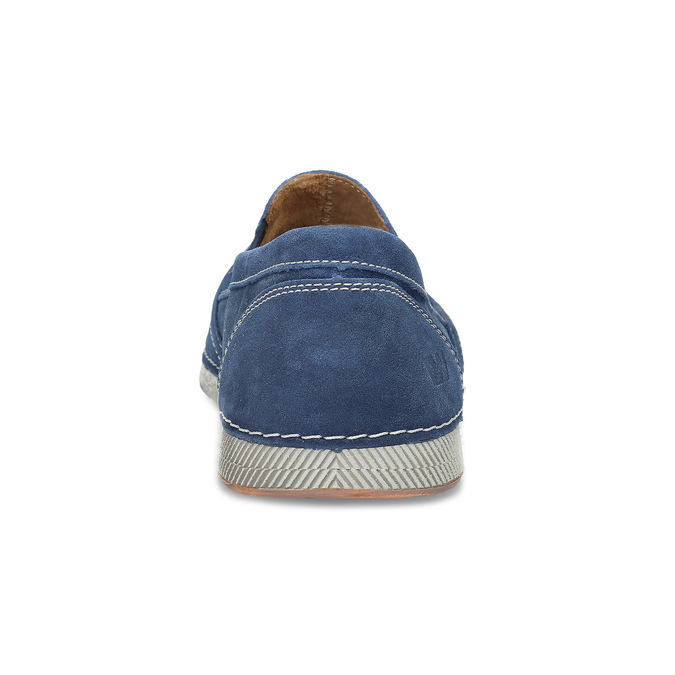 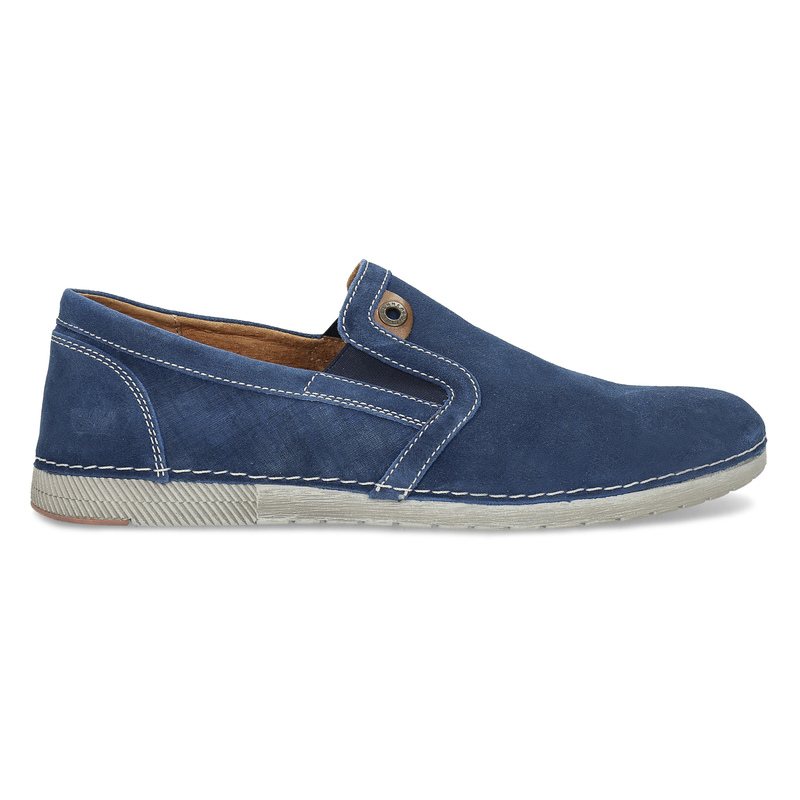 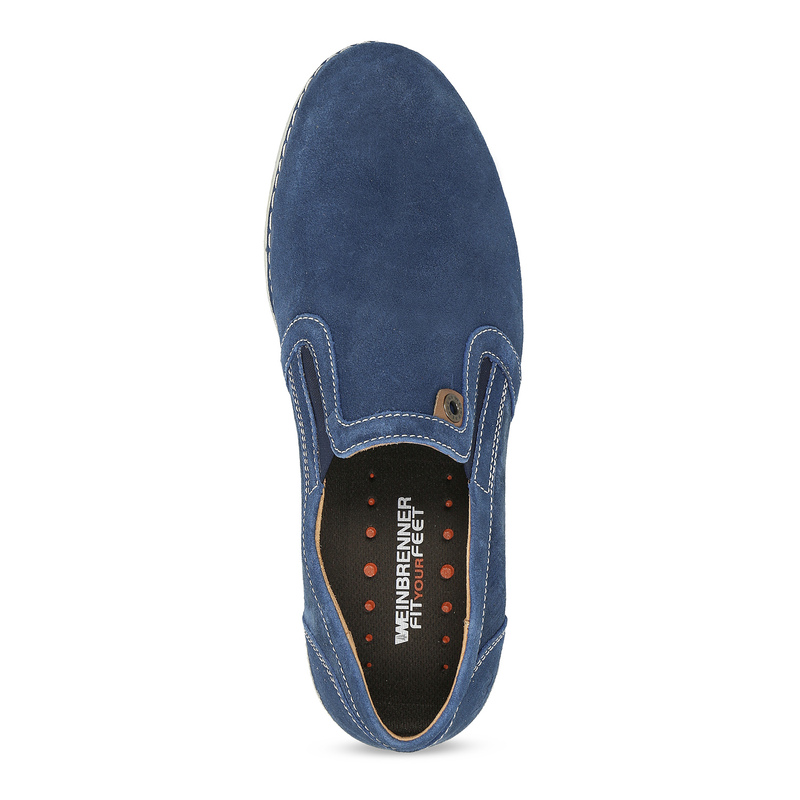 These Slip-on shoes from the Weinbrenner brand will attract with their blue leather upper decorated with contrasting light quilting. 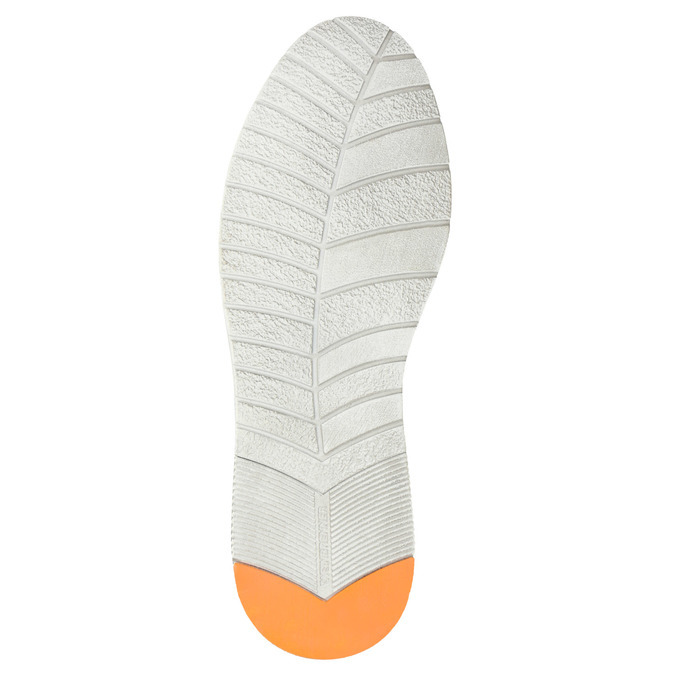 The light sole with a pattern is stitched to the upper for enhanced flexibility. 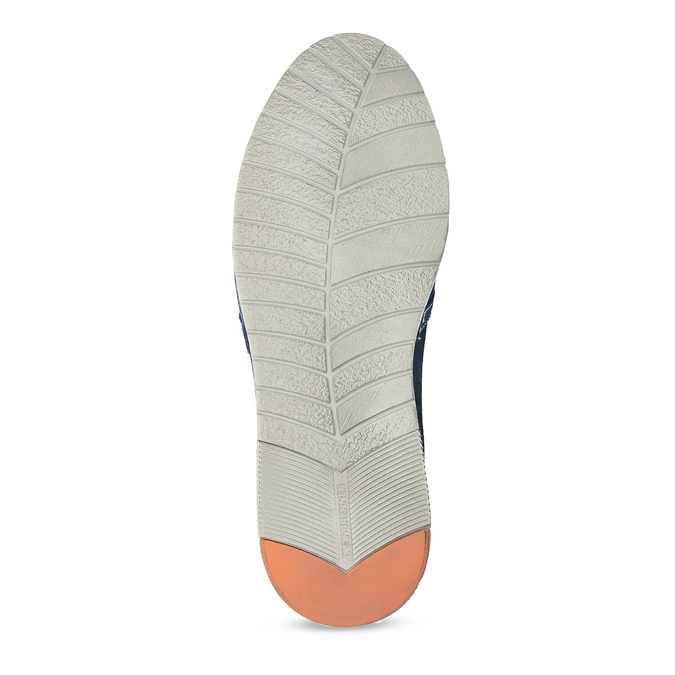 There is a leather inside lining and a soft insole in the shoes that your feet will love.